Do they sell these whatsits in England? I've never seen them but then I haven't looked very hard. They're electrical connectors, about the size of a finger tip. The orange levers are spring-loaded and they clamp down on the wires that you insert. They replace the older style block of connectors with screws that clamp the wires (chockablocks), at least for low-current applications. (Big thick wires still need the big blocks). The great advantage of these ones is that they're much less fiddly, so ideal for situations where you would need three hands if you were trying to screw down the old blocks. I used a pair today when connecting up a hanging lamp. Easy peasy. I don't like perfectly useable things being thrown away when there might be someone who can make good use of them. Where I used to live, I once found, in one of the communal dustbins, a heap of old clothes, jumpers, jackets and so on, in used but good condition, washed and pressed. I fished them out and took them to a charity shop. Out our local recycling centre, there was this hose reel with a bit of manky hose on it. One of the guys there hooked it out for me. There was a useful connector on the end of the hose (€5 new) as well. I wish I had found this a few months ago, before I got myself a new reel to store the watering hoses over Winter. Still, I'm sure I can find a good use for it. I was chatting to a French friend the other day. 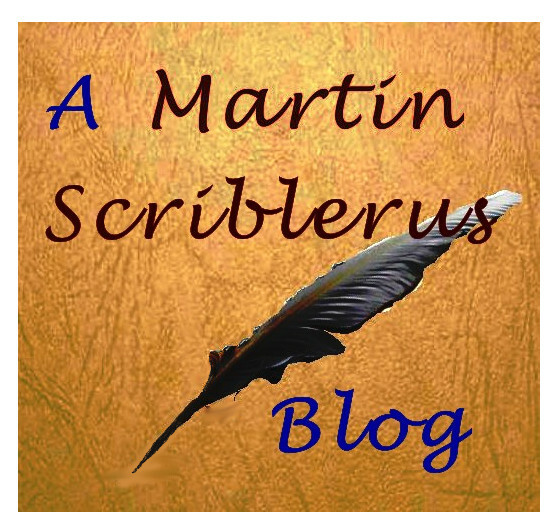 He expressed astonishment at the idea that wine could be made from anything other than grapes. I have never seen any in France, but they can certainly be made. Wines made from other fruits and veg are available commercially in England; I saw some in a garden centre I was perusing. I think they're generally called country wines. But they were ten quid a bottle. Ten quid buys a very drinkable bottle of grape wine, and I know where I'd rather spend the money. But you can make your own country wines much cheaper. When in the UK recently I bought some gear for making wine, as described here. I had to buy it in the UK because you can't get demijohns like these in France: I've never seen them, not even at jumble sales. The French word for demijohn is Dame-Jeanne. The simlarity is clear. The legend is that a queen Jeanne took refuge from a storm in a glass blower's workshop, and he demonstrated the technique, blowing an enormous glass jar that he named after her. I had always wondered why they're called demijohns since I have never heard of a unit of quantity called a john. I had intended to make damson wine when the glut arrives towards the end of Summer, but impatience has got the better of me. Since I have a good crop of parsnips, I have, following instructions from the River Cottage Handbook on booze, started a batch of parsnip wine. It is currently fizzing away nicely on a countertop in the kitchen. I will let you know how it goes. At ten quid a bottle, I will recoup my investment on the first batch, assuming it's drinkable. Incidentally, I was checking out the recommended maximum unit count of alcohol one is supposed to consume per week. As I understand things, moderate alcohol consumption has health benefits; these get overwhelmed by the negative effects of alcohol as the rate of consumption increases. The 21 units per weeks was established at the point where the benefits and dangers cancel each other out, where life expectancy reverts back to the no-alcohol figure. The trouble is, assigning hazards to health from alcohol involves a certain amount of estimation. Whereas it is clear that in almost all cases, death from liver cirrhosis is due 100% to alcohol, how about a death arising from breast cancer, where alcohol increases the risk but isn't necessarily the cause? Assigning a precise figure to the proportion of deaths where alcohol is a contributory factor is difficult and subject to error. This gives the nannying temperance brigade some wriggle room. Regardless of any recent changes to the recommended maximum weekly intake, I'm sticking to the figure of 21 units per week as a reasonable estimate of where the risks and benefits cancel out. Not that that means I intend necessarily to limit myself to that figure, but I recognise the fact that more than that is likely to be detrimental as opposed to beneficial. The good news is that there are 10.2 units of alcohol in a bottle of strong (13.5% ABV) red, which means that Anita and I can share 4 bottles per week and still be under 21 units each. That's actually less than we usually drink. We'll soon fix that. The mild Winter so far has confused some of the plants around here. So far, we have only had a couple of mornings with frost on the ground, and I have only once needed to scrape the car windscreen. Camelias are out in flower at the same time as Snowdrops, daffs are pushing through and I have already seen some out in flower in sheltered town centre locations. The Hazelnuts have catkins on them. I hope that a cold snap in late February isn't going to ruin everything, but I think it's fairly likely. The river down the road has swollen, but hasn't burst its banks, at least not here. Upstream it is encroaching somewhat onto the fields, but nothing serious yet. The restrictions on water use, imposed during the Summer, have been lifted. I have been playing computer games, on and off, for getting on 40 years. The first game I came across as a young and enthusiastic computer hacker, was called Colossal Cave, and was invoked on the computer I was using by the command ADVENT. You couldn't call it Adventure because the computer only recognised capital letters, and program names had to be no longer than 6 characters. You can get a flavour of this game here. Computer games have come a long way since then. I suppose it started at uni, with Dungeons and Dragons. This rôle-playing combat and treasure-hunting game is based on a map, figurines and rolls of the dice. And lots of rules, looked up in a book, for how armour, weapons, magic spells, and everything else in the fantasy world actually work. (How much time, magical energy and money does it take to develop a micro-fireball oven?) We'd collect together of an evening around the boards, dice and a considerable amount of beer, and play through the night. I remember thinking that it could all be made much simpler using a computer. I didn't conceive of what a graphics-oriented PC could do, since they hadn't been invented yet. The first "modern" game I played on a "multi-media" PC (that is, one powerful enough to play music, and have reasonable graphics at the same time) was Myst. An early first-person exploration/puzzle game, you were transported to a very different and realistic world where you had to figure out how things worked in order to finish the game. My wife and I played it together and we still do, with games of this type. I was transfixed for a while by the first real-time strategy game I played over one Christmas holiday (it was a present). Called Command and Conquer, you play a General, deploying ever more powerful forces in increasingly challenging situations, leading to eventual conquest. There are now many well-understood categories of games: first-person exploration and puzzles, first-person shooters, real-time strategy, simulations and so on. I touched on simulations in my last post; they often go well beyond the concept of a game: they can realistically simulate driving a formula 1 car, piloting Concorde, driving a train and so on. They have become valuable training aids. There are also multi-player online games where many players interact and there is a social element as well. At the moment, my wife and I are playing a first-person exploration and puzzle game called The Witness. It's good. You find yourself on a island where various puzzles of different kinds first teach you how to solve them and then require some lateral thinking to progress. The puzzles are always very logical but are not always what you think they are. We play it on the Steam platform that allows us both to interact with it, her on her PC and me on mine. It is interesting to see how our different creativities and puzzle-solving techinques apply in different situations. We make a good team because our differences allow us to get into the heads of the devious bstds who invented the puzzles. 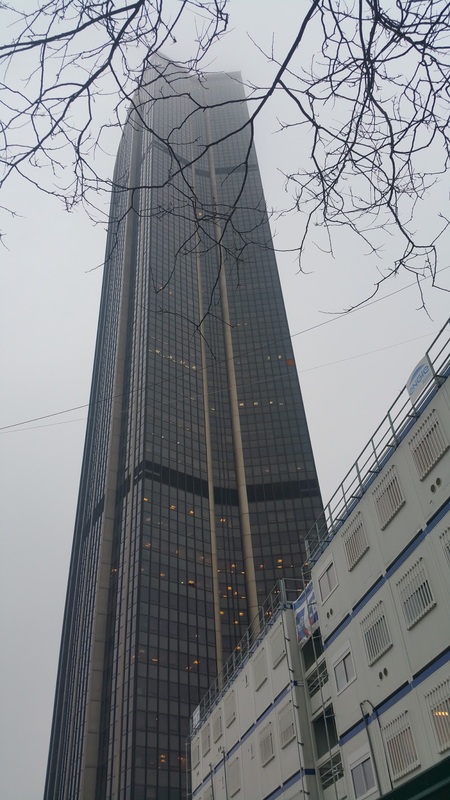 I post this photo of the Tour Montparnasse in Paris that I passed the other day. The top fades into the mist, and the tree traces paths across the windows. It reminded me of The Witness, where some of the puzzle solutions require tracing the shadows of tree branches onto a grid. Or not.